Love this 2-piece ruffled look! It may not be swim season, but why not get a head start on what to buy now? I recently got introduced to one of the coolest brands with a cause, Eco Swim by Aqua Green. Eco Swim is planet-friendly swimwear that uses sustainable technologies and methods to produce looks that are fashionable while giving back. The core customer is 18-48 years young that recycles, carries reusable bags to the grocery store, is stylish and cares about what she puts on her body. The color palette is full of Earth hues that bring to mind the beauty of the desert, the freshness of a flower, the stillness of a calm sea and the exotic lure of the wild. These suits are for real women who want to look and feel fabulous! Desert or in the wild? Everything is made in the USA and they are always working towards reducing the carbon footprint in the sand. To give back, Eco Swim does beach and waterway cleanups in areas of need. To date they have collected over 50,000 pounds of trash and have 13 cleanups this year. You’re seeing more of it in the grocery store – no, not women glamming it up hoping to score a hottie in the produce section, but more and more people taking advantage of reusable grocery bags. I’ve collected so many them in my trunk that I’ve started to give some away to others to encourage green shopping. 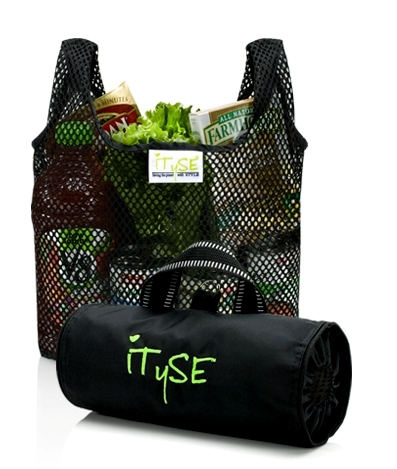 However, there’s one bag in my stash that I will never let go of – the iTySE bag. Right up my alley as the Style Goddess, there was no doubt I had to test these out for myself and take them for a ride. For my next grocery trip, I brought them along and the three bags enclosed in the carrying case were the perfect size to hold everything! 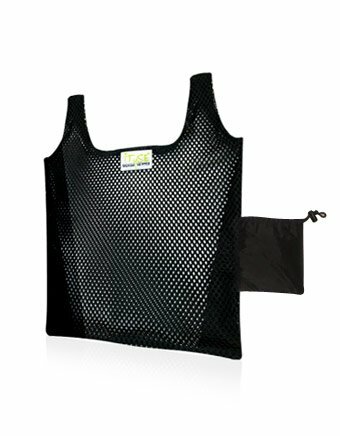 It was nice to attach the case to my purse and pull out bags as I needed them. These 25-year guaranteed bags were packed to capacity with cans, veggies, snacks, etc. and it was a chic alternative to using plastic bags. Not only did I feel great using these, but the production of these bags are made by inmates of the Oregon Corrections Enterprises where most of the wages go back to the community! And did I mention these are totally washable? 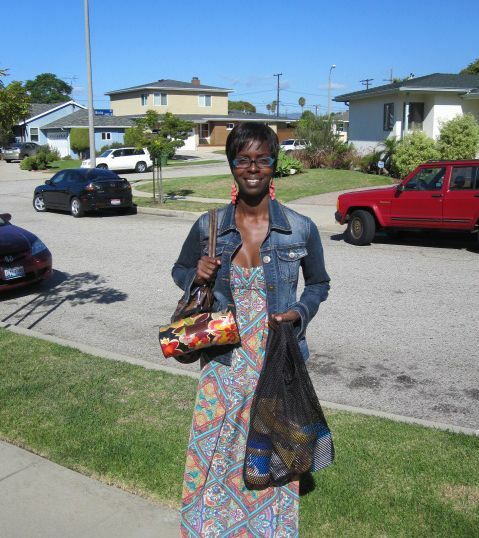 Socially minded, stylish, and sustainable describes the iTySE bags and Shawna who I am so glad to have met that day. I will continue to use these and spread the word around town. And if you’re trying to figure out the perfect gift that keeps on giving, this is it!